They have invested several million pounds, nearly doubling its prime retail site at Guernsey's St Peter Port by expanding into the building right next door. In the course of this, they upgraded the video surveillance system. Shrinkage, which was already significant in the original Creaseys store, was clearly only going to get worse in the enlarged store with so much of it not covered by the existing CCTV cameras. The major cause of loss was theft of banknotes from the cash registers, although there were also some incidents of shoplifting high value goods such as meat, wines, spirits and womens’ wear. The surveillance installation was complicated by the fact that the expanded site runs over six different floors and each on two different levels. Some parts of the shop are also obscured by low ceilings and large pillars. Despite these site-specific challenges, high expectations were placed on the new video surveillance system. It had to be reliable, require little maintenance and be easy to use by non-security staff. It also needed to offer comprehensive coverage and act as the frontline for loss prevention because the size of the store precluded the funding of manned guarding. With this brief in mind they called in specialist security contractor KMH Group to design and install a new IP surveillance system. Milestone XProtect Enterprise IP video management software (VMS) provides viewing, recording and analysis of high-definition (HD)-quality images at up to 18 frames per second from the 74 new Axis network cameras. Milestone XProtect Enterprise is a comprehensive open platform IP VMS. It is easy to set up and manage and offers powerful features such as system configuration wizards and auto-detection of hardware, which simplifies the process of deploying large-scale video surveillance installations. The software's consolidated single-management interface provides a coherent and efficient way to view and control an unlimited number of cameras. 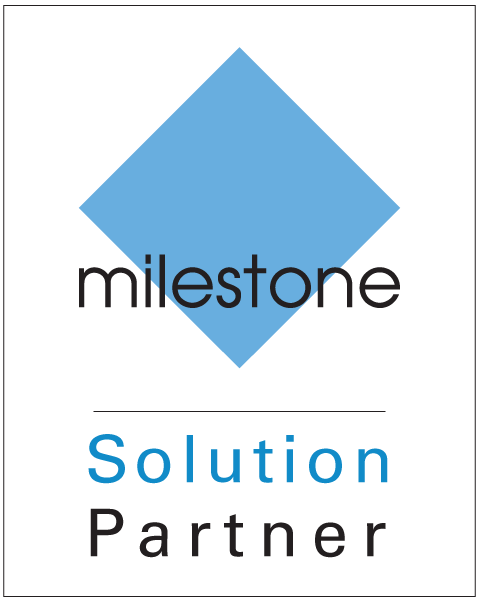 Creaseys' IT department now recommends the deployment of Milestone XProtect Enterprise for many of its stores. Milestone Xprotect Enterprise with the XProtect® Smart Client user interface has proved particularly successful for stores that operate without full-time manned guarding and where reliability and ease of use are key operational requirements. XProtect Smart Client provides instant access to live and recorded video and enables control of cameras and export of video evidence. The Milestone XProtect software is so easy to use that the system was able to go live following just 30 minutes of user training attended by Andy le Maitre (who is the Group Financial Controller and leader of this project within Creaseys Guernsey). Andy was able to talk staff through the functionality of the system without further involvement from KMH Group. Milestone XProtect® provides Creaseys Guernsey management team and supervisors with an effective tool for protecting the outlet from losses associated with cash handling at the registers and theft of high value items on the shop floor. The cameras cover the most valuable items – including the clothing, meat, wines and spirits sections. Supervisors with access to the system can use it to keep an eye on customer service quality levels without standing over their assistants. Video images may also be used in training exercises to show customer service in action or talk through better ways of handling specific customer experiences. "The fact that the Milestone system is so easy to use has meant that we have been able to extend its use beyond traditional security and loss prevention to improving the customer experience instore.The familiar interface also means recorded images post-event can be quickly found." CreaseysGuernsey asked Milestone partner KMH Group to make recommendations to upgrade the surveillance system to IP, with a particular focus on covering cash registers. 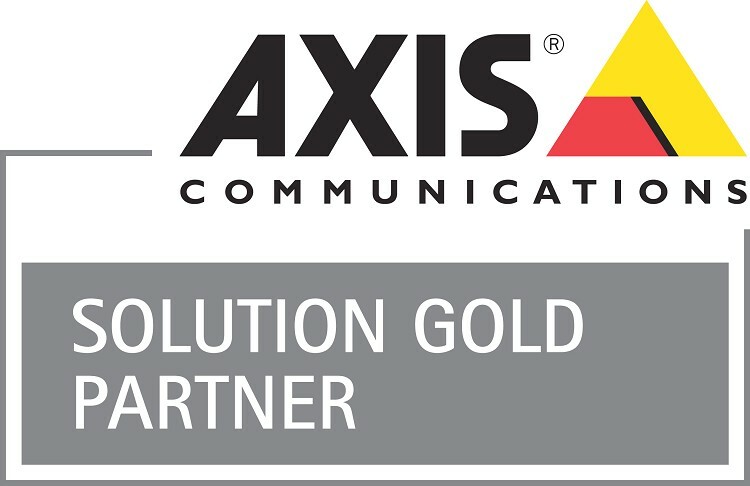 KMH Group installed Axis cameras and connected them using CAT 5 Ethernet cabling to two dedicated servers, housed in secure server rooms, running Milestone XProtectEnterprise 8 VMS. KMH Group installed and configured the Milestone XProtectsoftware to suit the users' needs. It is controllable through the easy interface on a dedicated PC linked to two displays located in different security rooms. Authorized staff at supervisor level and above can quickly find and view the cameras they want to see in live or recorded mode and export video evidence to DVD or local hard drive as necessary. A key requirement for the new system was being able to provide sufficiently high quality images of hand movements around the cash registers to reduce shrinkage through employee or customer cash register theft, as this was the principal source of loss in the store at the time. "We have a specific problem in Guernsey associated with the color of State of Guernsey bank notes. Guernsey £20 notes are red -similar to the UK mainland £20 note -while the £10 Guernsey note is blue, and therefore looks similar to the UK £20 if viewed from some distance away. It is important that we have high quality video images so we can judge which types of notes are going into the register, in case the cash registers indicate a discrepancy between cash collected and goods purchased at the end of the day." "Our main source of shrinkage is not shoplifting of products, but disappearance of money from the cash registers. The major concern is cash not even reaching the registers when handed over by the customer. It was critical that any new surveillance system be able to offer total coverage in cash register areas." Supervisors also find the video surveillance system useful to check that customers are being treated in accordance with Creaseystraining. Previously, sales supervisors were finding that assistants were attentive to customers while they were in the vicinity, but once their backs were turned standards tended to slip. With the new surveillance system it became possible to check assistants' customer service behaviorat all times. This capability is now helping supervisors to reinforce correct protocols, thereby improving customer service. There are no security guards walking the shop floor, which puts a greater responsibility on the new surveillance system to capture wrong-doing and help reduce shrinkage. Security, to a certain extent, is the responsibility of all staff. For example, assistants walk the clothing floors regularly and look for hangers without clothes, which may mean that the missing item was stolen. "We encourage assistants to wave at the nearest surveillance camera to indicate that a missing item has been discovered so that we can pinpoint the time of discovery of a potential theft on the video surveillance system easily and work back quickly from that timeusing the Milestone system to the point where the item was taken off the hanger." Creaseysis considering centralizing its video surveillance systems to support more stores that have no full-time manned guarding. There is a potential benefit from being able to view and manage these stores from headquarters if necessary. Moving to IP surveillance makes remote monitoring both cost effective and reliable using the existing wide area network infrastructure to stream live and recorded images to central security and loss prevention teams in headquarters.